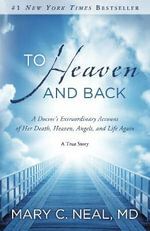 Fascination with heaven and the afterlife is influencing book sales with three books that tell the story of people who die, visit heaven and return to their lives on earth, showing strongly on USA Today’s best-seller list. 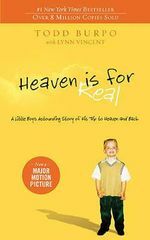 According to a report in Charisma Magazine, Heaven Is for Real: A Little Boy’s Astounding Story of His Trip to Heaven and Back, the Rev Todd Burpo’s 2010 tale of his 'son’s round trip to the Pearly Gates', has sold more than 7.5 million copies after 22 printings. It has been on USA Today’s best-seller list for 111 weeks and reached No. 1 eight times in 2011. It’s now No. 94. Joining it more recently, Charisma says, is the story of Eben Alexander, a Harvard neurosurgeon who was in a coma for seven days in 2008. He encounters an angelic being who guides him into the 'deepest realms of super-physical existence.' His Proof of Heaven: A Neurosurgeon’s Journey Into the Afterlife, published last year, peaked at No 4 in December and is now No 10. Read Cread's previous review of these and other 'heaven' books.